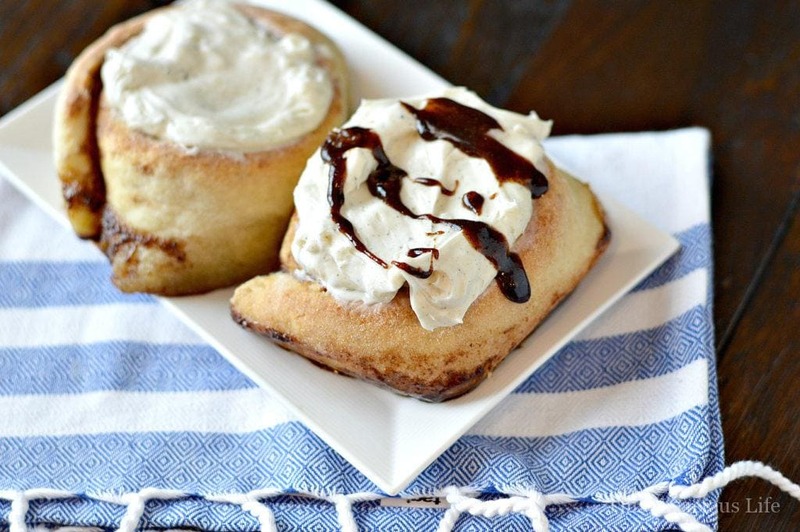 These truly are the BEST gluten-free cinnamon rolls! 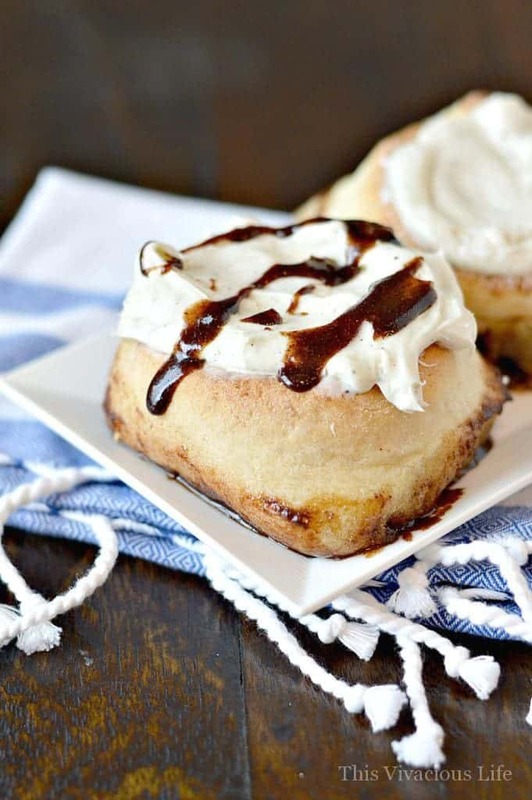 They are soft, fluffy and so full of ooey, gooey deliciousness. 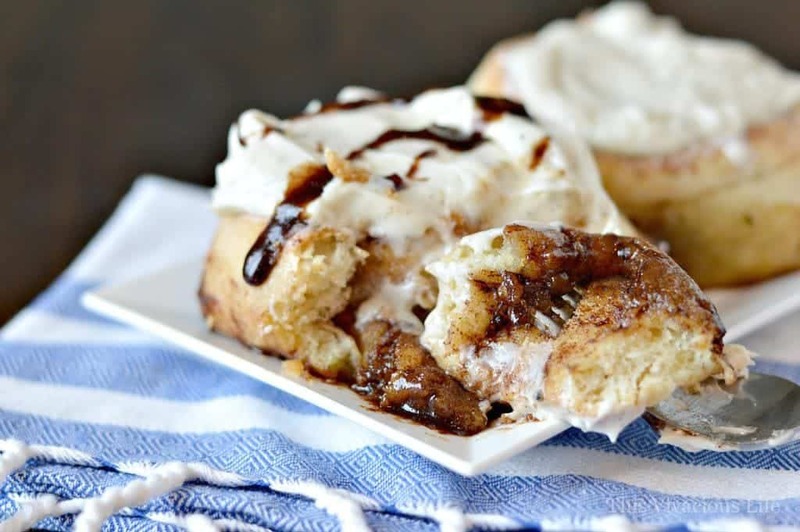 I promise you will never find a better gluten-free cinnamon roll out there! You guys, my mom has done it; she has truly achieved the best gluten-free cinnamon rolls ever! While it’s hard to believe you could get a big, fluffy cinnamon roll like this gluten-free, it’s now possible. 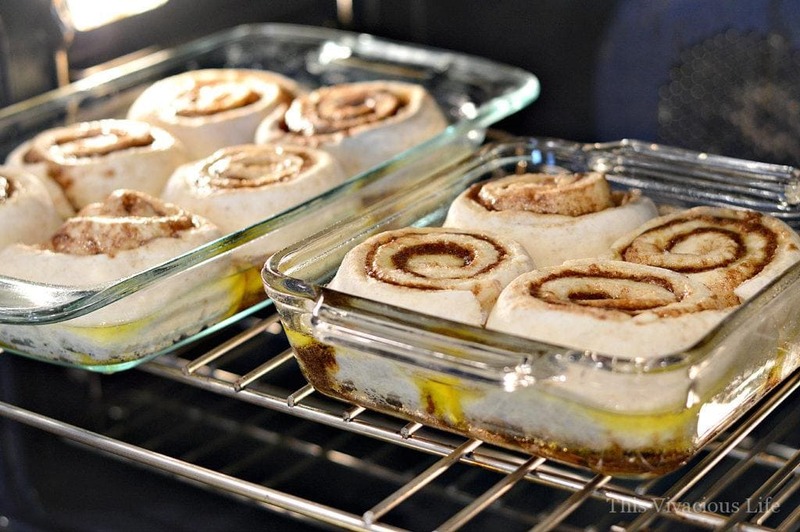 The secret lies in the technique of making these special gluten-free cinnamon rolls. 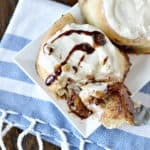 After many times of trial and error, we found that you just can’t get enough filling inside the rolls unless you first freeze the brown sugar and butter into a block. 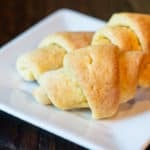 It’s the same tried and true techniques that go into the BEST gluten-free crescent rolls you will ever have as well. They are so flaky and delicious! There is a bunch of rich, creamy butter grated onto the dough before rolling. As with all good things, they take a bit more time and effort. I recommend making them for special occasions like Christmas morning and Easter. These are 110% worth the energy put into them. 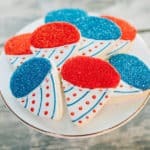 Can I make them with gluten-free all-purpose flour? IF YOU WANT THIS TRUE CINNAMON ROLL RESULT, YOU MUST NOT EXCHANGE OUT THE INGREDIENTS IN THE RECIPE FOR A GLUTEN-FREE FLOUR BLEND. These measurements have been tested over and over (and over and over and over again) to get the cinnamon rolls just perfect. The day before, combine 1 lb butter, 2 C brown sugar and 4 T cinnamon in a stand mixer then shape into a block that can be frozen and grated. Freeze that block for at least 12 hours but it can be longer. I like to line a square tupperware with plastic wrap before putting the mixture in so it pops out easily and the plastic can be peeled right off (shown in photos 3 and 4). When you are ready to make the gluten-free cinnamon rolls, you will mix the dough together in your stand mixer and then place it on a large white rice floured piece of plastic wrap (shown in photo 1). It will be sticky, that’s how it is supposed to be. Otherwise, you will have overly dry dough once you bake it. Pro Tip: Spray your hands with non-stick cooking spray before removing the dough from the stand mixer. This will help keep your hands from sticking to the dough. Next, you will lightly white rice flour the dough and roll it out into a rectangle shape about 18×24 inches (shown in photo 2). Next comes that ooey, gooey filling! Remove your butter from the freezer and take off the plastic wrap if you used it. 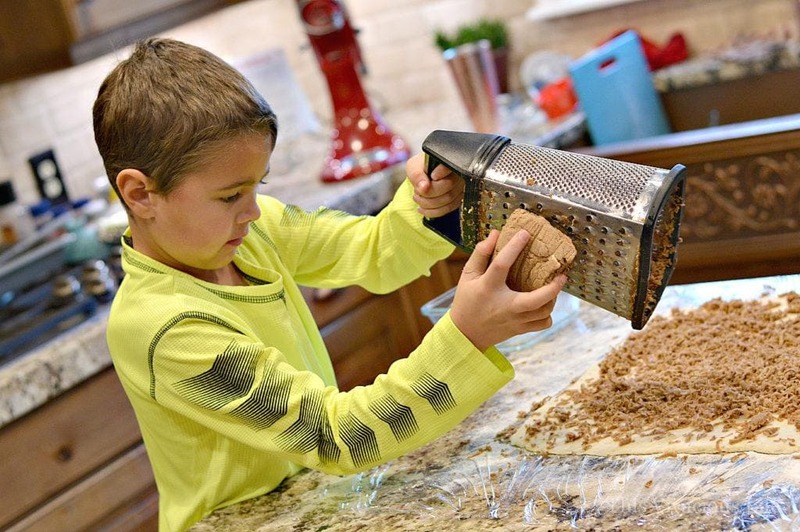 Begin grating the block over the rolled out rectangle of dough (shown below). It takes some elbow grease but you can doooo iiiit! Make sure the grated butter is evenly distributed on the dough. It will be a large pile. What a genius my mom is to come up with this method right? I mean, how else can you possibly get THAT much gooey filling in without it melting right out? It is an extra step, but it’s the key and totally worth it. 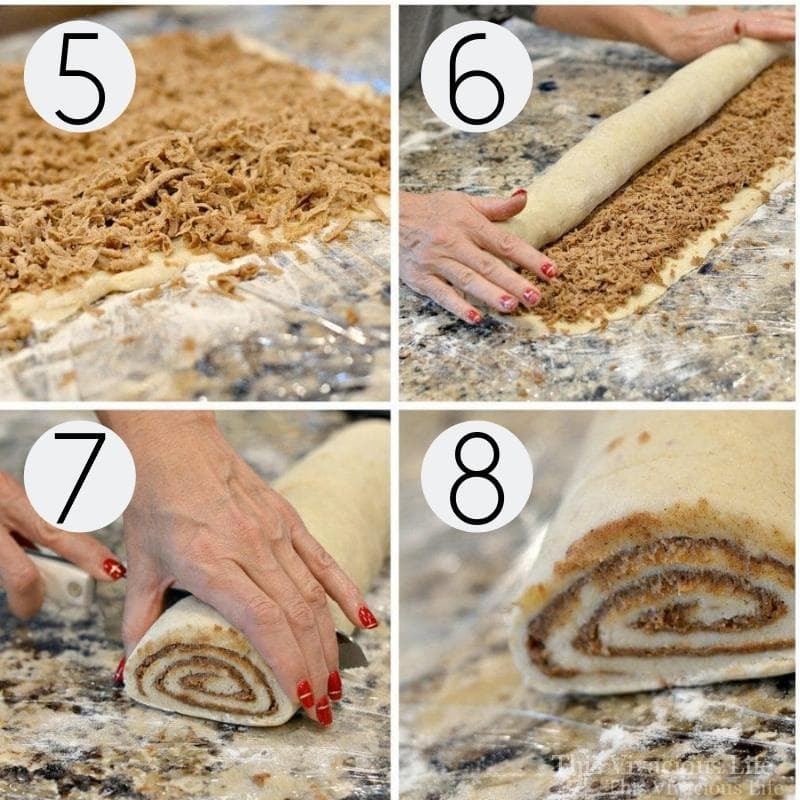 Starting at one end, roll the dough into a cylinder (shown in photos 5 and 6). As you go, tuck the edges in with your hands so it stays even. 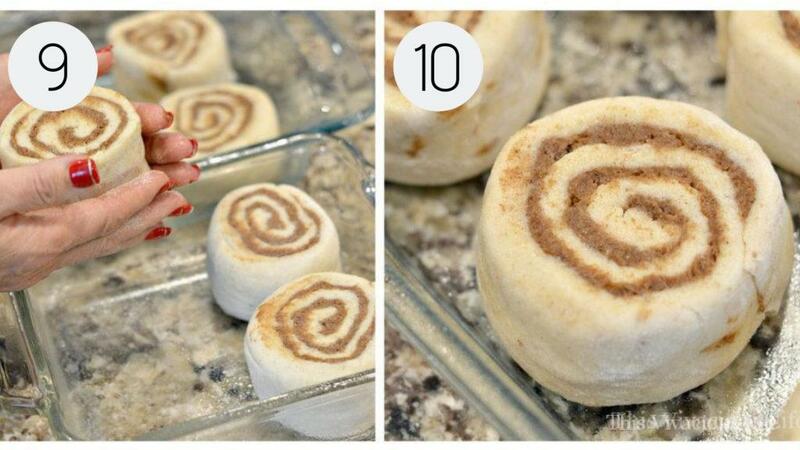 This will keep the dough from hanging out on the ends and gives you a pretty, even gluten-free cinnamon roll. 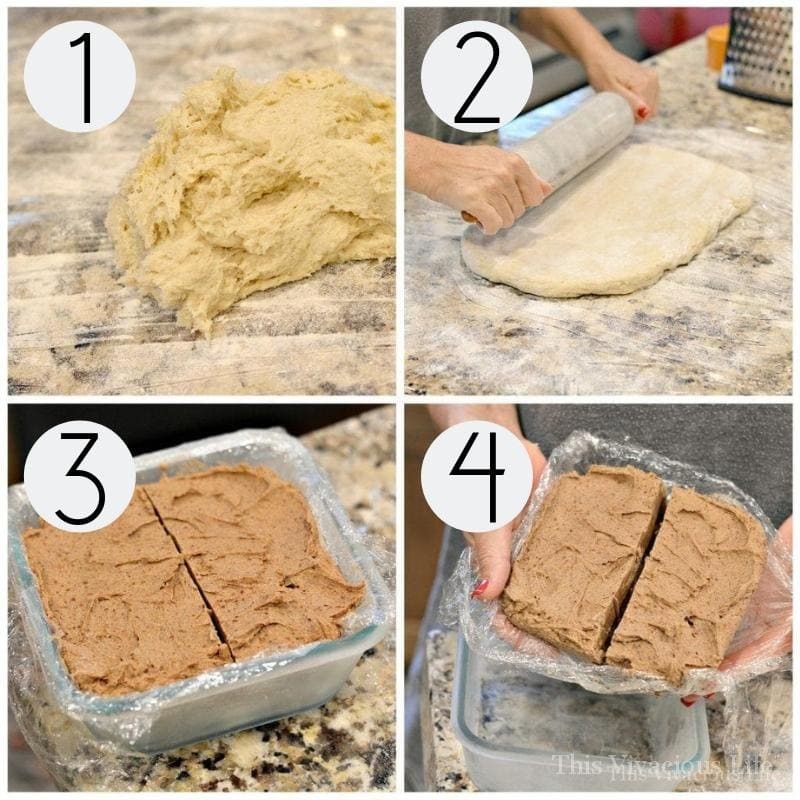 Slice the dough into 10 equally sized pieces (shown in photos 7 and 8). Round them out into nice circles with your hands (shown in photo 9). Place 6 in a greased 9×13 pan and 4 in a 8×8 pan (shown in photo 10). Let rise for 1 hour on bread proof or at 100 degrees Fahrenheit. Once they have risen for an hour, bake them at 350 degrees for 22-24 minutes. While the cinnamon rolls are baking, prepare the frosting. Simply whip the butter, softened cream cheese, vanilla and powdered sugar together until smooth and creamy. 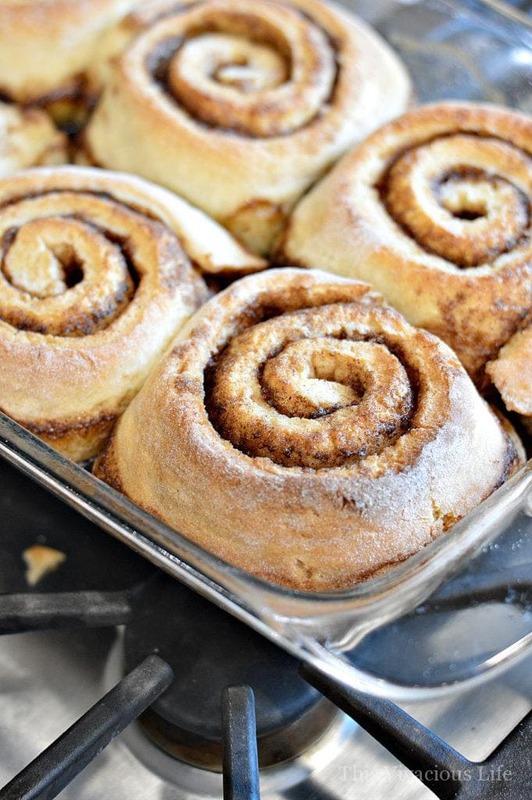 Remove from rolls from the oven and frost what you plan to eat immediately. Save the remaining frosting for the next time you plan to eat a cinnamon roll so that you are able to warm it slightly first. Pro tip: After frosting the cinnamon rolls, drizzle with the leftover brown sugar and butter sauce from the baking pan. 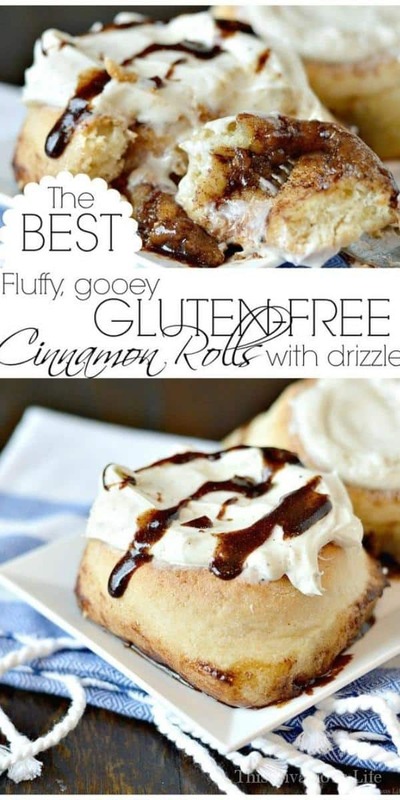 This is, of course optional, but let me tell you, they make these gluten-free cinnamon rolls extra incredible! 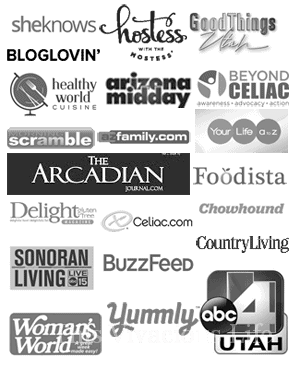 What brand of individual gluten-free flours do you recommend? I personally like Bob’s Red Mill sweet white rice, brown rice, tapioca starch, xanthan gum and arrowroot powder. They come in smaller, more budget friendly priced bags. They are also readily available at most grocery stores. I also like Anthony’s brand of those same products on Amazon. He also has the potato starch that I use. Remember NOT to purchase potato flour, it is much heavier. You definitely want potato starch. I recommend buying small bags of each individual flour until you know how much you will use in general gluten-free baking. Then you can purchase the flours you use more often in bulk. Many of our best gluten-free baking recipes including these decadent peanut butter bars use multiple flours to get that perfect taste and texture. As you all know my mom (Tana Besendorfer) is an incredibly talented baker. I can’t say enough about how talented my she is! 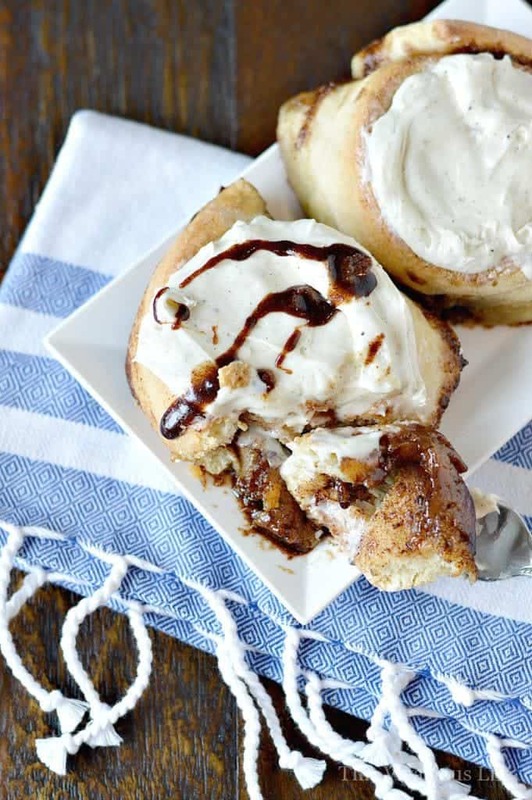 Once you make these gluten-free cinnamon rolls just once, you will know exactly what I mean. 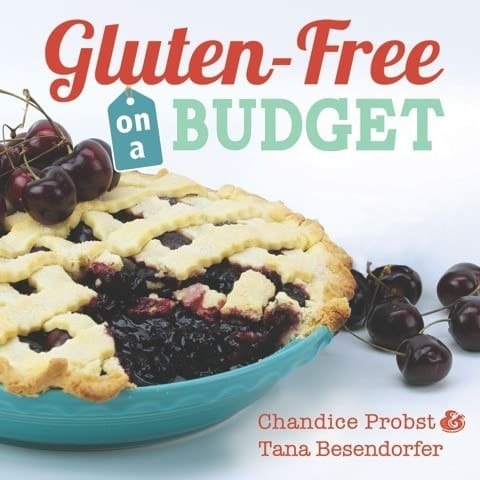 In our cookbook, Gluten-Free on a Budget, she created 70% of the recipes. This includes her famous flaky pie crust that can be rolled out and sliced into a lattice piecrust. How do I store these gluten-free cinnamon rolls? These rolls are fantastic right out of the oven nice and warm, but they are also good at room temperature the next day. Once they have cooled, you can store them in an airtight container. They are good for up to 5 days at room temperature on the counter but are best within the first 3 days. 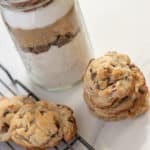 What other gluten-free goodies do you recommend I make next? These Gluten-Free Raspberry Toaster Pastries are also incredible! Our big, Gluten-Free Buttermilk Biscuits have pockets of soft butter throughout and they are always a hit on our dinner table. 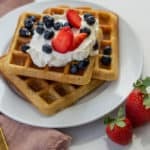 My husband always asks for these Gluten-Free Belgian Waffles and he isn’t gluten-free, so I would say they are really good. 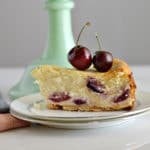 If you want another incredible baked good recipe, I highly suggest this cinnamon roll cake from my friend Chrystal at Gluten-Free Palate. 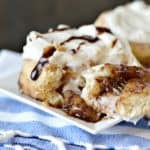 My friend Michelle or My Gluten-Free Kitchen also has a great pull apart cinnamon rolls recipe also. 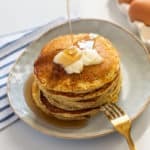 It is also important to note that while freezing the butter, brown sugar and cinnamon mixture is an extra step that take some prep, it gives you the most delicious gooey filling that you can’t get any other way. These freeze well in an airtight container for up to 3 months. To unthaw, let them sit at room temperature in the airtight container. When you are ready to eat them, warm them in the microwave for 45 seconds then spread cream cheese frosting on thick. 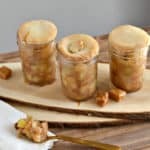 You can also store them at room temperature in an airtight container for up to 5 days, although they are best within the first 3 days. These rolls were a lot of work to make but they are AMAZING! 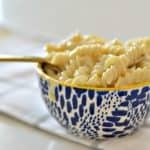 I made the recipe as directed using all of the different flours, etc. The only thing I did differently was made only half of the frosting. Next time, I will put more of the rice flour on the plastic wrap when I roll out the dough. It kind of stuck to the wrap but that was my fault, the recipe said to use a lot! So glad I found this recipe!